As I look at the calendar and realize that I will be heading to Asheville for my summer school classes in 8 days (where has the time gone?! ), I am feeling anxious, expectant, and overwhelmed. I have read most of the books for one course – and even taken some preliminary notes. The course is entitled “Rewriting a Life” and while I know the books will be discussed, I am thinking the focus will be on writing, revising and editing our own works. I am most concerned about this class, as I have never had a formal writing class – nor have I had my writing critiqued – since I was a senior in high school. I hope my fragile ego can take it. The 2nd class I am taking is a pedagogical Shakespeare class. I have read all 4 plays – most of them more than once. I have a general idea of the characters, the plot, and the major themes. 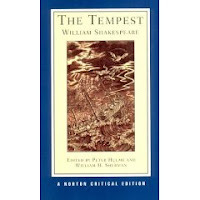 However, we were required to purchase the Norton critical editions for 3 of the 4 plays. Are you familiar with Norton? I would say that the actual play is about 20% of the book, and the remaining 80% of the books’ volume focuses on critical commentary. I have no idea whether we are supposed to read all commentary – or if the instructor will assign only certain essays. I do not think it is feasible for me to read all commentary ahead of time – and retain any of it. However, I am feeling VERY nervous that I will not be adequately prepared for this course. I will try to find some happy medium this coming week. I must focus my attention on these two courses for the next 6 weeks. I am actually looking forward to this intense study (as one fellow Bread Loaf student remarked, it is like summer camp for English teachers) – BUT I will have very little time to read much of anything else. That brings me to my feelings of guilt and need to apologize. I tried so very hard to curb my excitement at BEA — but since it was my first event I am afraid that it was quite easy to get caught up in the spontaneity of the crowd. You have read my post of the authors I met and books I brought home. While I would love to do nothing more than begin reading and reviewing these newly acquired masterpieces — I simply cannot. I now feel as though I should not have brought them home, as the review will not be posted in a timely fashion. I feel as though I have taken a book that could have/should have belonged to someone else – and I feel as though I will be viewed as an irresponsible blogger by those in the industry that I truly respect. I hope that the publishing companies – and the publicists – can forgive my faux pas of being an overzealous newbie, realize that I have definitely learned from my mistake, and know that I will organize my life in August where I will only accept books that I know I can review in a timely manner. My life these next 6-7 weeks will have different priorities. I still plan to post to my blog, but it will probably be only a couple of times a week, and the posts will center on class discussions of the books and plays that I am reading for school. This may or may not appeal to my readers, and I will apologize in advance if these posts are not of interest to you. I promise that I will be back to “normal” come August 1 – and I plan to devote 2 days a week to reading books for blog reviews. All work and no play is never good, however, so I still plan to spend an hour or so a day keeping up with your blogs and making comments. I want to stay connected, even though I will be somewhat distant. I may even have time for an occasional tweet. I hope my lack of community involvement does not ostracize me from the community. I have come to appreciate each and every one of you and I hope to stay connected in some small way. BEA Highlights #3: The Authors and the Books!! Aw, good luck with your classes! I don't think you should feel badly about taking the books, because you will do them justice when you do get the time to review them! Good luck with your classes Molly! I can only imagine that it's a bit nerve wracking switching from teacher to student. It sounds like you are prepared as much as you can be. I don't think that you should feel bad or apologize for taking the books from BEA. You will get to them eventually and I believe a review anytime is better than none at all. We all have to keep a balance. You will not be ostracized for not posting as much and I know I for one, will be keeping an eye on your blog. Have a wonderful time at "camp"! Good luck with your classes and don't feel like you have to apologize. I totally understand your enthusiasm for books (I think lots of people do) and they will still be there when you are finished with your classes. You can't get rid of us that easily, Molly. 🙂 I wish you luck with school. Oh goodness Molly! I don't think you need to apologize for anything. There is this thing called *real life* that exists outside of our blogs. I think everyone totally understands when a blogger isn't able to post as frequently as is usual. As far as your BEA book reviews go–pfff! You will do a great job on those when you get to them, I am sure. You always do justice to the books you review. I look forward to hearing about your classes, but must confess that I don't envy you having to become a student again! Molly, you could never be ostracized. We would all miss you and your wonderful writing so much. I wish you all the best with your classes and will be eagerly awaiting any posts you are able to make. Don't even begin to worry about the books you got at BEA! you will get to them but you just need to do it at your own pace. Have a great week. There is no need to apologize – for one thing, a well written review is a well written review no matter when it's posted and for another, most of the books I brought home from BEA won't be published until this fall. I hope your classes go well. I would probably feel the same way if I were in your position but really, there's no need to apologize. Any newbie would have been excited and overwhelmed by the event and you know you will review those books eventually. Don't worry or apologize. Those are fall releases, and like Kathy says a well-written review is forever. In my experience using Norton Critical Edtions in class, the professors normally assign a few of the essays that they think are particularly relevant, and it's up to the students to read the rest or not. Reading everything in every single one of the books would just not be doable, if you ask me! Good luck with your classes, Molly. And don't feel bad about the BEA books. You're only human! Good luck with your classes – they have to come first. I've noticed that some bloggers are now mentioning that they'll post reviews anywhere between two and six months after receiving review books, so I think the definition of "timely" is evolving…but even so, I wouldn't worry too much about it. You'll get to them when you can, and when you have posts, we'll be glad to see them! No apologies necessary – but I understand why you've made one, and I'd probably do the same :-). Good luck with your classes, Molly! They sound so exciting – I wish I could take the Rewriting a Life right along with you. Shakespeare was one of my favorite classes when I was in university, so I'm definitely looking forward to reading your posts about both your classes! About the reviews, you don't need to feel guilty about them. I agree with Kathy, that it's a well-written review that counts, and not when you post it. I agree with everyone above. Have fun at school this summer and get to reading your BEA books in the fall!! No apologies needed! Molly–you asked if we are familiar with Nortons critical editions. Oh yes–all my grad school Shakespeare classes used Nortons. And I still have them all!